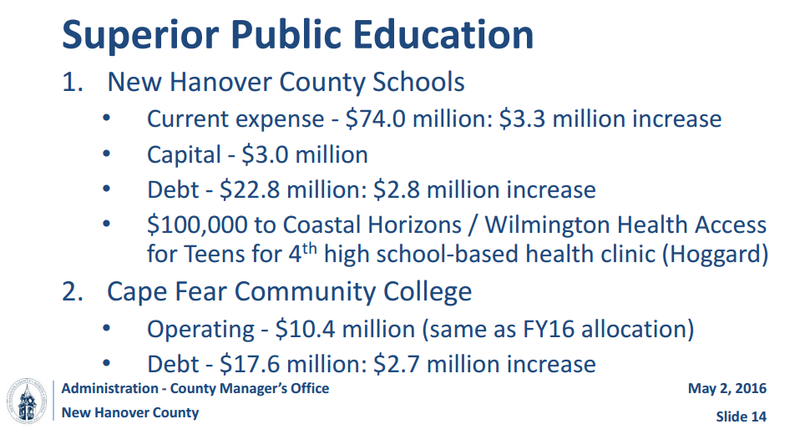 New Hanover County is in the midst of budget negotiations. Despite Cape Fear Community College’s rising operating costs, the recommended budget includes the same amount of money from the county as last year. Back in 2008, voters approved a bond to pay for three new buildings for Cape Fear Community College: Union Station, the Fine Arts & Humanities Center, and the Advanced and Emerging Technology Center. The bond itself amounted to 164 million dollars, but this isn’t a one-time, done-deal payment. According to County Manager Chris Coudriet, each new CFCC building adds about one million dollars in operating costs to the county’s budget. "I fully acknowledge the cost of running the college will be greater next year than in the current year. However, our position has been for the college to explore its institutional funds for a year to help support and sustain their operations." Beyond operations costs, New Hanover County gave more than one million dollars to CFCC last year. But since the community college is receiving almost six million dollars from the recently-approved Connect NC bond, Coudriet has recommended no additional monies. 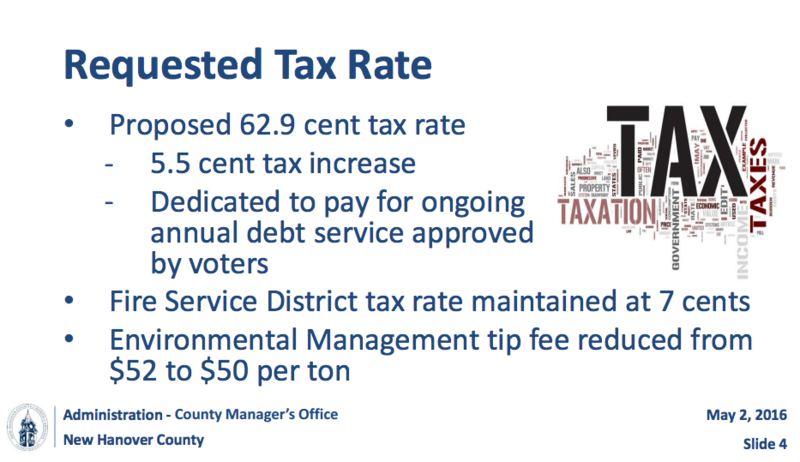 A budget work session will be held this Thursday at the Government Center.